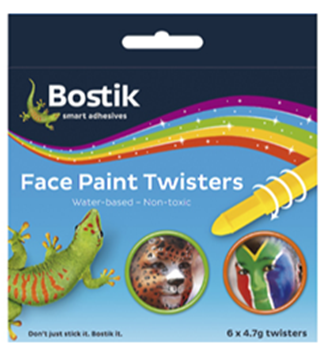 The pens are not difficult to hold and control – my kids loved painting each other’s faces and mine (LOL), and they come in 6 splendid colours: black, yellow, blue, red, white and green. The finish was smooth, exact provision and did not smirch. If you needs a touch of purple or orange, or whatever possible colour you may envision, I found that all colours could be blended to make extra shades. Birthday parties, fun days at school and games occasions... we used them for the boys soccer games... effectively and brightly celebrating the game, I recommend this product anyone that wants to build unforgettable memories... thanks for your speedy delivery, and friendly service.